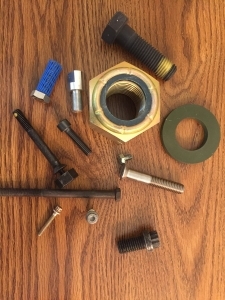 Midwest Military Fasteners LLC is a stocking distributor and value added supplier of fasteners and hardware. Proudly serving the military, aerospace, marine, heavy industrial, and other users that value a fast, honest, and knowledgeable supplier to handle their critical hardware needs. We pride ourselves on quick responses to quote requests, our ability to find the hard-to-find hardware, and our ISO 9001:2015 registered quality system to deliver the right product on time. Our specialized software scans not only our own inventory, but also the current inventories of the leading military and aerospace hardware manufacturers and distributors so you don’t have to. We screen all our parts and suppliers so you can be assured that you only receive genuine, certified hardware for your demanding needs. Search for your part number here and find out why we are known as the First and Final Stop for standard and specialty hardware.